First Hvino Project Launched! Welcome to our news service, the ultimate English-language information resource on Georgian wine. As a matter of fact, the word "hvino" (or "ghvino") is Georgian for wine, pronounced hweeno. 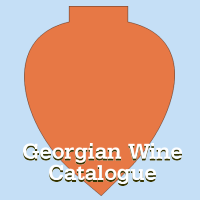 Hvino News is specialized information resource on Georgian wine, launched by our agency as the pilot project of Hvino Portal. News submissions are welcome from winemakers, experts, and other professionals at: editor[at]artenom-cfe.com. Advertising requests should be sent to: ads[at]artenom-cfe.com. Georgia Today: Wine journalism in Georgia – who cares? Azerbaijan Navigator: Открылся первый новостной сайт о грузинском вине "Hvino News"